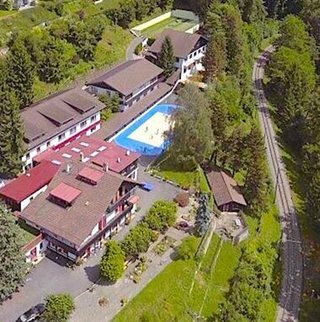 Beautifully located in nature, overlooking lake Geneva, Chantemerle offers a warm and healthy learning environment to an international community of more than 65 boarding & day students. From primary to secondary school, our curriculum offers the high educational standards of the French system combined with the Swiss academic rigor and the esprit of internationalism found in the IB program. Chantemerle prepares for the French Certificate of Secondary Education as well as for the admission into Swiss high schools. Chantemerle also prepares for the DELF, Cambridge and Goethe language certifications. Established in 1966 by the Wegmüller family, Chantemerle is an international private boarding & day school for students starting at age 6. Over the years, our school has established an international reputation for its academic excellence and personalized family atmosphere. Chantemerle is located in Blonay, overlooking lake Leman near Geneva and Lausanne. Beautifully located in nature, our school offers a caring and healthy learning environment with strong family values. Our aim is to educate and nurture every child, ensuring they acquire the knowledge, life skills and attitudes to fulfill their potential and be successful in their future. Our approach is positive as it takes a caring look at each student, a look of success for all. It is personalized as it respects the speed and learning strategies of every child. At the primary and middle school levels, Chantemerle prepares for the French National Diploma as well as for admission in state high schools (gymnases). In high school, students can prepare for either the Swiss maturity or the international baccalaureate (IB) diploma. Chantemerle has extensive experience in welcoming foreign students in its French immersion and study abroad program. Chantemerle is also very popular for its educational summer and winter camps. Choosing the right school for your child is an important decision. We welcome you to visit us at Chantemerle. Mr Yann Wegmüller (Program Director) is looking forward to making the arrangements for you.